On Tuesday the FBI released a strange set of documents on the Mark Rich pardon in 2001 at the end of Bill Clinton’s presidency. Mark Rich was indicted in the United States on federal charges of tax evasion and illegally making oil deals with Iran during the Iran hostage crisis. He was in Switzerland at the time of the indictment and never returned to the United States. He received a controversial presidential pardon from U.S. President Bill Clinton on January 20, 2001. According to a newly released FBI document — Peter Kadzik, John Podesta and Bill Clinton got Mark Rich pardoned! Podesta made the request to Kadzik in 2000 before Bill Clinton left office. KADZIK, a close Podesta friend and ally, is heading the server and email investigation of Hillary Clinton at the DOJ! 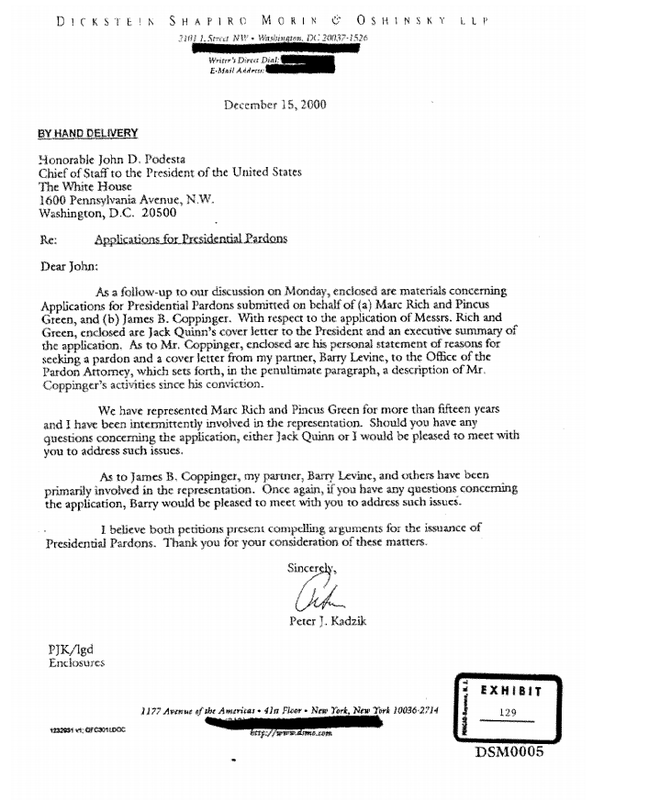 Kadzik responded to Podesta in this letter marked December 2000. FYI– The person who posted this image online went dark. 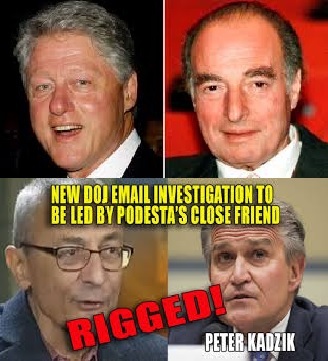 DoJ's Peter Kadzik was also the attorney for Marc Rich–whose file the FBI released yesterday–as well as Podesta ("Kept me out of jail"). So now the question is— HOW MUCH DID THESE GUYS MAKE OFF THE PARDON?